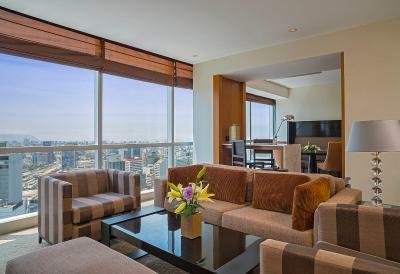 Lock in a great price for The Westin Lima Hotel & Convention Center – rated 9.3 by recent guests! Love the breakfast. Service was perfect and cleanliness outstanding. The room was beautiful and comfortable. I really enjoyed the restaurants in the hotel. I especially liked the employees and how helpful they were. we had an executive room with access to the lounge that was very good. food and service were excellent and so was the concierge service and front desk. I love how friendly all the staff in the hotel greeted us. I was good in a pinch, but I would avoid if you had other options. Location, Customer Service, VIP lounge. Room Service. Top class hotel, EVERYTHING was taken care of. The concierge were fantastic, booking us reservations at all the top restaurants and giving us great tips on where to go. Beds were super comfortable and everything a Starwood hotel would be expected to deliver. I'd rate this one of the best 5* hotels I've stayed in worldwide. The hotel was nice and clean. Staff was respectful. Food was good. 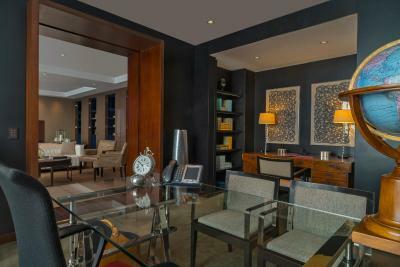 The Westin Lima Hotel & Convention Center This rating is a reflection of how the property compares to the industry standard when it comes to price, facilities and services available. It's based on a self-evaluation by the property. Use this rating to help choose your stay! 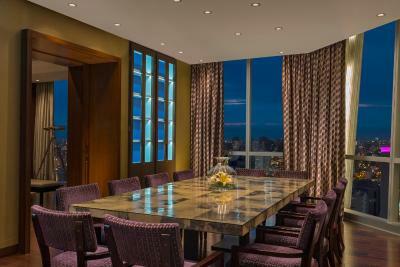 and thermal circuit water, this glamorous hotel features 2 restaurants and panoramic views of Lima. Shops are 1,000 feet away whereas Lima's historic city center is 3.7 mi away. Free WiFi access is available. 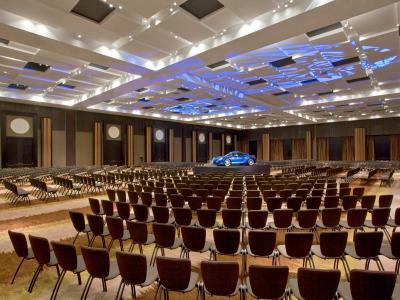 The Westin Lima Hotel & Convention Center displays full 5-star facilities, has the largest hotel convention center in the city and high-end architectural design. Guests can exercise at Westin Workout, have access to beauty salon, business center and Westin Club, only for guest stayed in suites. Rooms are fully carpeted and styled in tan and off-white hues. 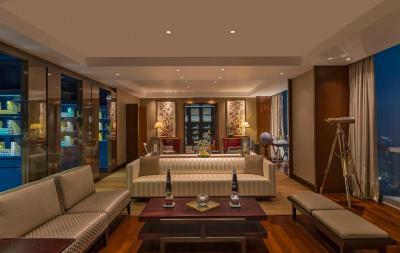 They have flat-screen satellite TVs, luxury Heavenly Bed linen with goose feather duvets, walk-in closets, and city views. All have mini-bars, in-room safe and coffee makers. All bathrooms have walk in shower separate from the tub. All rooms are nonsmoking. Full gourmet meals featuring Peruvian flavors can be enjoyed at Market 770 or Maras Restaurant this last one is under renowned chef Rafael Piqueras guide. 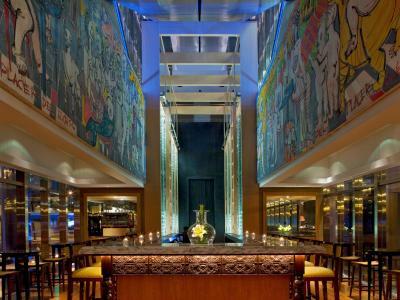 Guests can also enjoy drinks at InSitu Bar, featuring an impressive marble bar top and decorated glass panel, or at the Lobby Lounge Bar. 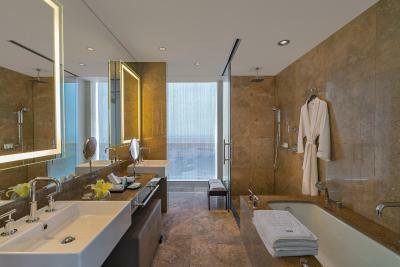 The Westin also has a partnership with Venturia travel agency to help organize tours around Lima. In addition, the hotel is pet friendly and features heavenly pet beds. 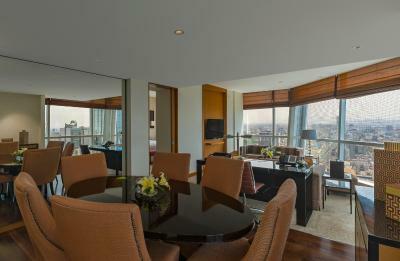 When would you like to stay at The Westin Lima Hotel & Convention Center? WiFi is available in the hotel rooms and costs USD 12 per 24 hours. 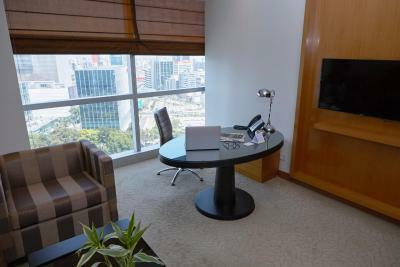 WiFi is available in the business center and costs USD 12 per hour. 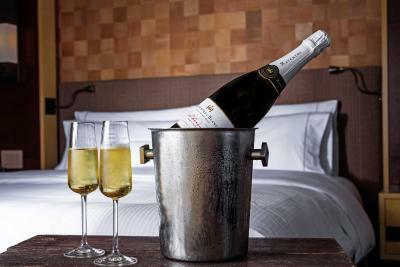 House Rules The Westin Lima Hotel & Convention Center takes special requests – add in the next step! One older child or adult is charged USD 105 per person per night in an extra bed. The Westin Lima Hotel &amp; Convention Center accepts these cards and reserves the right to temporarily hold an amount prior to arrival. The Westin Lima Hotel & Convention Center accepts these cards and reserves the right to temporarily hold an amount prior to arrival. The Westin Lima is a part of Starwoods Hotel and Resort. Guests staying here may be eligible to use their Starwood Prefered Guest (SPG) points according to what is stated on their webpage. Excelente la comida de los restaurant, súper recomendable! Room was beautifully designed with everything provided. We had a large corner room with wonderful views all over Lima. The staff were fantastic and the experience and coordination between restaurants spa and hotel was seamless and refreshing. roomservice and breakfast were very good. We are very grateful for the barservice from Gisele. She makes you feel home. The room is a dream with a good vieuw a chaise longue and a bureau. The luggage room is very comfortable. Confusion with a hotel arranged private car due to our lack of Spanish. Driver was incredibly rude and became unfairly agitated when trying to sort payment which we thought had already been done with the hotel when entering the vehicle. This needs to improve as it was a scary experience for us. We did advise the concierge upon return also. This hotel was unbelievable, it was like something out of a movie. Our room was beautiful and the beds were amazing!! The spa was also incredible to use, thanks to the ladies there for our fantastic massages and manicures. It was a little far from everything but we made it work with cars and Uber’s mostly hassle free.